Franchise Opportunity New in the Midwest. This Full Service Glass Restoration and Replacement franchise has a proven record of success and are now available across the United Statesand Canada. Services include glass and window replacement, niche Glass Restoration & Moisture Removal as well as specialty services such as Shower Installs, Mirrors/Tabletops, Screens, Door Conversions and more... NO EXPERIENCE NECESSARY. Full Training and On-Going Support. An affordable opportunity. Can be started from home. Scalable into large full service glass business. - Can be done in an average of 15-20 minutes per window saving your customers valuable time. 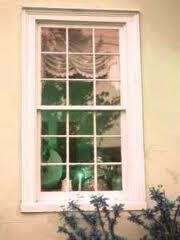 - Getting the repair done is streamlined since there is no need to put glass or windows on order. Fast ramp up time to break even. Total investment from $25,000 to $65,000 depending on territory size. Also Ranked as #400 in 2010 on Entrepreneur Magazine's prestigious Franchise top 500 list. Call us to learn more about this ground floor opportunity and find out if this is the right fit for YOU.